The Witch's Island: Gingerbread Girls Just Want to Have Fun! The Gingerbread Girl and some of her suiters! As you can tell from the pictures my Christmas baking has started of course, and just look at how happy this gingerbread girl is in amongst all her cute male suitors. She’s probably going to need to remind them to take off their muddy boots before coming in the house! So far I’ve completed all the gingerbread and some of the shortbread cookies and even a pan or two of Rice Krispie Treats. Hopefully I manage to find the time to get more baking done. Let me see, there’s the orange-oatmeal cookies, the lemon flavoured sugar cookies, maybe a Yule log still yet to get made. Maybe I’ll save all the calories and just stop now! These cookies are some of my all-time favourites. The Turkey Drive challenge was a huge success. The Turkey scoreboard was completely full. Our original goal had been 25 birds and then it was increased to 50 and then 100 turkeys but we exceeded even that. By Friday morning we had collected enough money to provide 160 turkeys setting the bar very high for anyone else. I was so proud and still have a tear in my eye for all the kind and generous co-workers who really pulled together to make this huge donation happen. The stakes have been raised for next year and I know we will exceed them because that’s just the type of team spirit we all have. 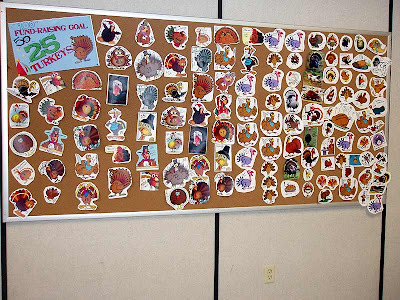 We may even have to have two Turkey scoreboards! 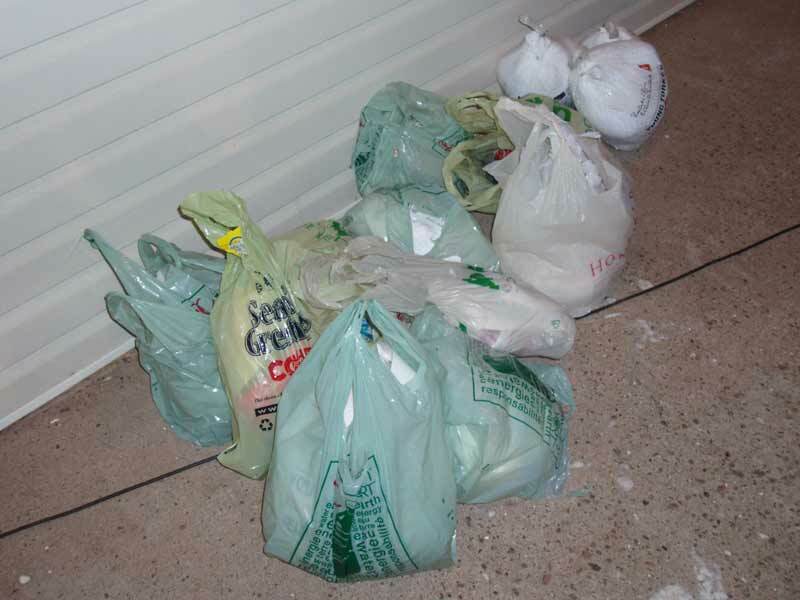 Just a few of the donated turkeys on the front doorstep. We may need a bigger scoreboard next year. I have included a few pictures of our Christmas decoration as we have been busy getting ready for the Holidays. I have lots more to get done before the big day which is closing in rapidly. Just remember, only 10 more sleeps everyone!! 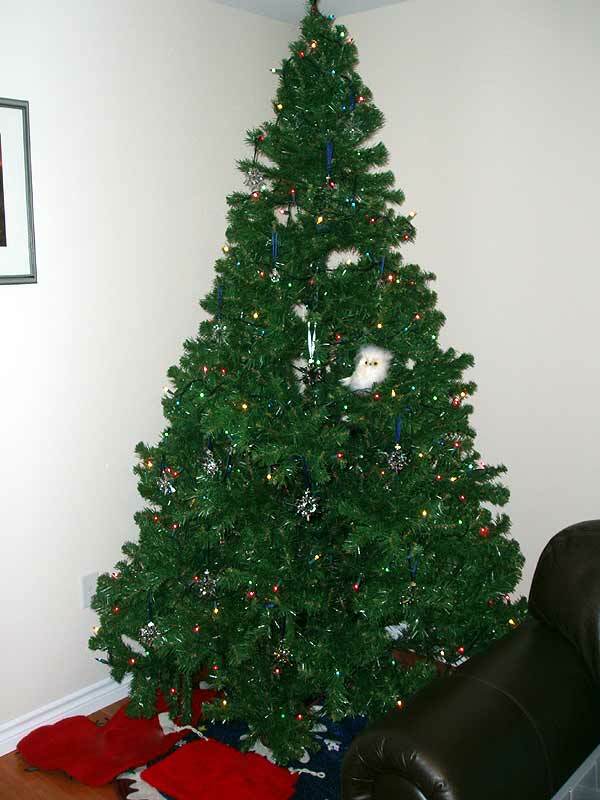 The Christmas tree was almost finished. 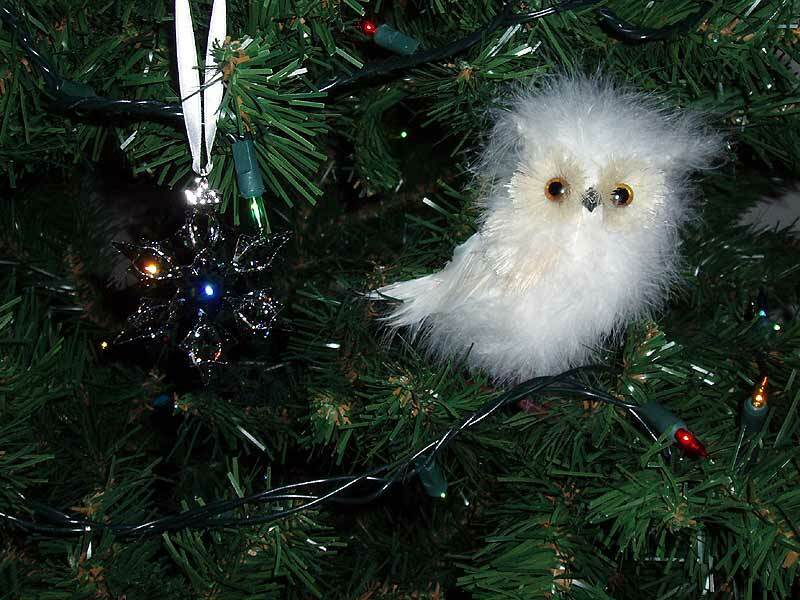 This owl guards one of the crystal snowflakes. 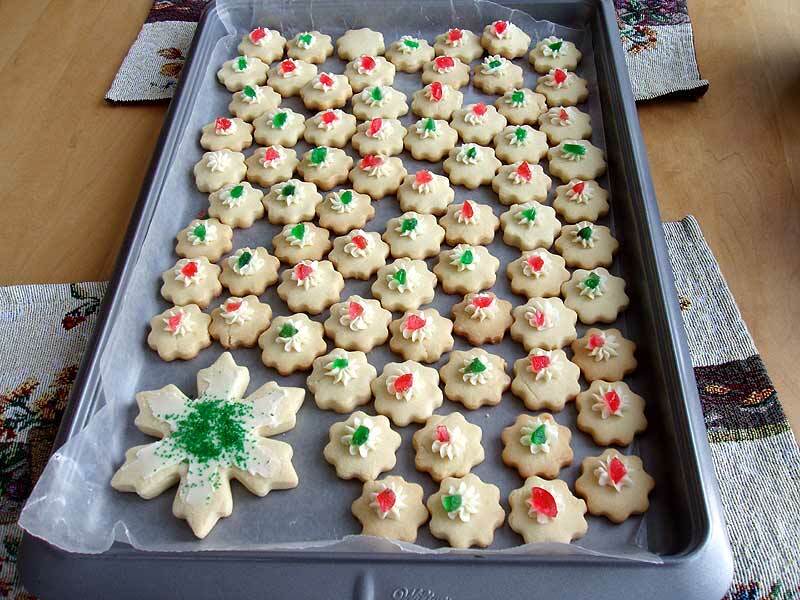 I have a wee problem with my Christmas baking - it's the Christmas eating!! However, I will put my waistline aside til the new year so no one else feels deprived by the lack of goodies - sometimes I can just be so selfless:) Love your gingerbread girl - she's the belle of the ball! Those cookies look SO GOOD!! Will you mail me some?? Lol :) Hope you have a wonderful Christmas!! 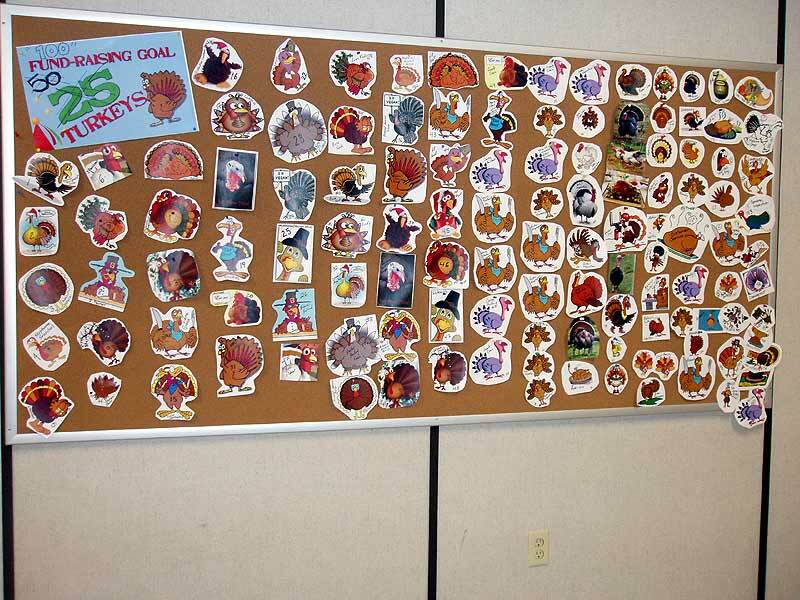 I love how the turkey board started out all nicely spaced apart and by the end they were cramming them in! Fantastic job getting those donations. those cookies looky yummy, I still haven't started yet, such a slow poke. Well done on all those Christmas turkeys you all should be proud of yourselves. We all have Jane's problem with Christmas baking, well, that and trying to get the damn stuff to last until Christmas dinner! We should get together for a serious baking session sometime, your gorgeous tangerine mixer and mine! Ooo...! My mixer's first date. I'm so proud! They are great machines though, worth every penny! 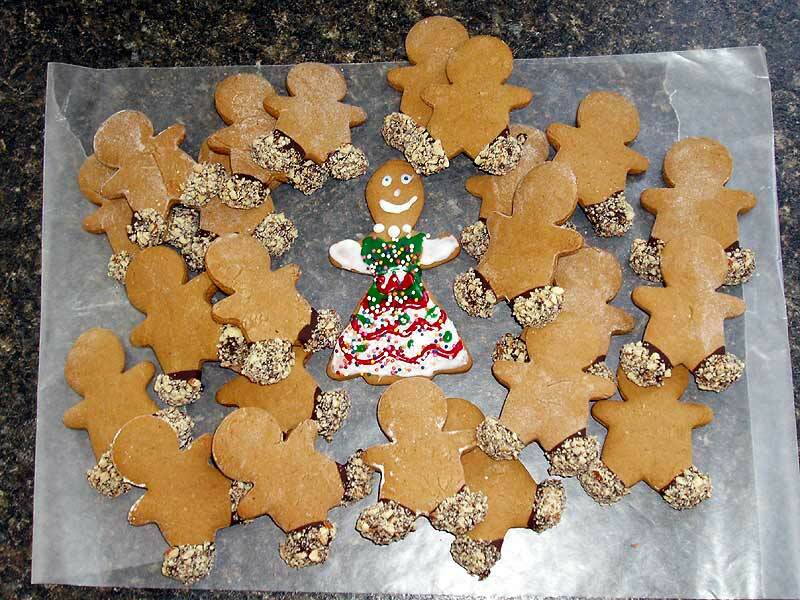 I love the Ginger Bread lady and her clan of men! Looks like you're all set for the holidays - have a very Merry Christmas!